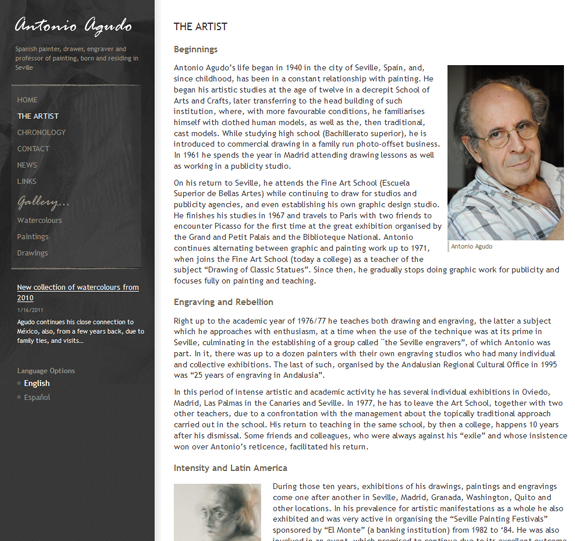 Antonio Agudo is a Spanish painter, drawer, engraver and professor of painting, born in and residing in Seville, Spain. His new website has recently launched, full of information about the artist himself and also including a fabulous gallery of his amazing work, including watercolurs, paintings and drawings. It really is worth taking the time to read about Antonio and his work.